Driving back from Yosemite, not quite ready for our trip to end, we checked the map to see if there was anywhere else we could stop for a day or two. It was then that we realized how close we were to Sequoia and knew that we must spend some time visiting Sequoia National Park as well. Sequoia National Park is often dwarfed by the magical and heavily touristed Yosemite National Park just a few hours up the road. However, a visit to Sequoia is worth the extra effort as it’s almost always less crowded than Yosemite and is filled with an amazing tranquility. The sprawling park, combined geographically with Kings Canyon National Park, is filled with opportunities to hike, camp and explore in meadows, along rivers and through canyons. There are so many things to do in Sequoia National Park that you could easily spend a few days here. 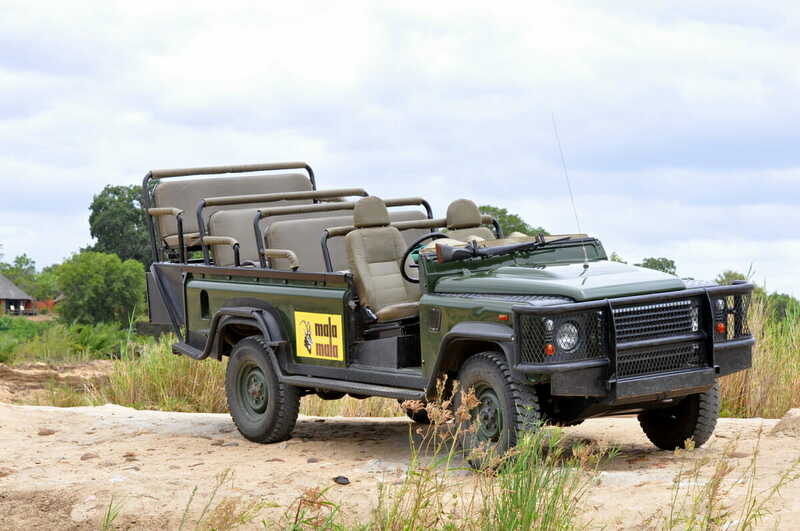 However, during a one day visit, you can easily stop at the major visitor points for a general overview of the park as well as include at least one short hike. Regardless, any time spent among the big trees will leave lasting memories for your entire family. You aren’t alone if you are visiting Sequoia & Kings Canyon National Parks on a day trip. It is said that more than 80% of the parks visitors visit this way. While there is so much more to be seen at the park than can be done in one day, you have to make the most of what time you have. If you are staying outside of the park, start as early as you can. If you are entering from Three Rivers (which is a great place to stay for a night) the distance is short, but can take longer than you expect as you wind up curvy 2 lane roads with 10 MPH sections. Instead of going through both parks, take your time and spend more time in one section of the park. The area near the Foothills Visitor Center has an abundance of sites to see which makes it an ideal place to spend your one day. Plan your route to take you one way, starting at one entrance and exiting through another. This will allow you to see both parks with no backtracking. If you enter from the north of the park, you will actually be entering at Kings Canyon and can start your day off at Grant Grove to see General Grant and walk through a fallen sequoia tree. Plan for approximately 2 hours to drive through the park, plus whatever additional time to park and/or take shuttle buses and to sightsee. Bringing your own meals, breakfast, lunch and dinner will reduce the amount of time you spend looking and waiting for food. Instead, you can eat on a trail by the river, on a picnic table outside a visitor center or wherever you find yourself during meal times. Depending on where you enter the parks will determine what you actually have time for. There is so much to do between the two parks that you will never see it all in one day. Start at either park and work your way around the sites mentioned below. Need more information on routes through the park? Go to the park service website for maps to further plan your adventures. Our first stop is always to the visitor center to pick up the Junior Ranger booklet to earn a park badge. Would I do this if I didn’t have a child obsessed with being a park ranger? I’m not sure, but I do know that we learn so much more about the parks when we complete these books, so I actually do recommend it even for the grown ups! The junior ranger booklet also provides great information on the history of the park and animals you might come across. The Giant Forest Museum is meant as a starting point for visitors to the park and is also a starting point for several items on the must do list. Spend some time learning the story of the giant sequoias, the meadows, and how humans have been involved with it all. Catch the shuttle bus from here for Moro Rock (in the summer) or head out on the self-guided interpretive Big Trees Trail. This short 2/3 mile trail circles Round Meadow and is lined with information panels describing the ecology of the sequoias. Keep your eyes peeled for fire scars, baby sequoias growing out of ashy ground as well as juvenile trees scattered around. This is an easy, no elevation gain trail accessible for anyone. The trail begins at the Giant Forest Museum and circles back around. The big draw for kids are the abundance of rocks and logs to climb on just off the trail. Driving on Generals Highway from Three Rivers, on hairpin turns, Moro Rock is one of the first sites you will see. The steep hike up this protruding granite rock offers spectacular views across the valley and mountains in the distance. The short, but steep 400 step climb up a narrow path built into the rock might test your fear of heights and give you wobbly legs, but the payoff will be worth it. There are guard rails along the path, but caution is still needed with small children. Portions of the trail are so narrow only one hiker can pass at a time, which means it can be slow going during peak season. Don’t be deterred, as you progress up the trail, you’ll be able to see the top of the Giant Forest to the north with spectacular views in all directions. There are a couple of resting points along the way as well as guide panels with information on how this rock was formed and the surrounding landmarks. It is one of the most popular trails at Sequoia, and for good reason. During summer this trail is accessible only by the shuttle bus from the Giant Forest Museum. The big draw here is an easy hike that is great for children and adults among a meadow filled with beautiful summer flowers. A hike through Crescent Meadow offers a variety of scenery, a tree to sit inside of, as well as a visit to Tharp’s Log (a house made out of sequoias). In the early morning and late afternoon, watch out for one of Sequoia’s most revered animals which can often be spied here – the elusive bear! A trip to the mountains can only be heightened by a bear sighting. You will hear visitors on the shuttle buses, at view points and along the trails discussing bear sightings with excitement. Luckily the bears in this region are not aggressive towards humans, so the opportunity to see one is met with great excitement, rather than fear. Remember to keep your distance if you do see one. One of the main attractions at Sequoia is to see the worlds largest known living tree. It is not the tallest in the world, but is taller than the Statue of Liberty which is pretty amazing! General Sherman is 3000 years old. It’s difficult to grasp how long this tree has been around and how the world has changed in it’s lifetime. Being in it’s shadow, you begin to think that this must be how an ant feels as a human’s shadow crosses it’s path. The 1/2-mile trail descends through a grove of massive trees. The trail is short, but includes stairs and will tax your lungs a bit on the way back up. Take your time, use the benches and enjoy the beauty of the giant forest around you. The trail to Tokopah Falls starts just after the bridge in Lodgepole Campground leading you along the meandering Kaweah River to granite cliffs which end at a waterfall. It is an easy 1.7 mile (one way) walk along the river, with plenty of opportunities to explore. This hike is also shaded for much of the walk, which is a relief during the summer season. The last quarter of a mile requires stumbling over boulders, which can be fun or tiring depending on your mood! The end of the trail has amazing views of the falls, the canyon and the valley, all carved by the water. There are several spots along the trail where you can set up a blanket and have a dip in the cool water. 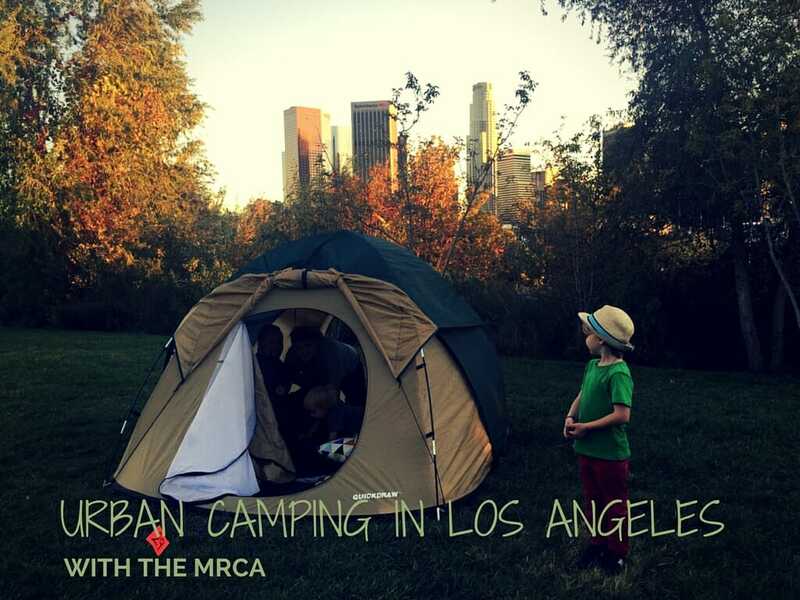 There are drop offs, so test out the area before letting kids play on their own. This is another area with frequent bear sightings, so keep your eyes open as you cruise along the path. Congrats, if you have made it all the way to the northern entrance at Kings Canyon while visiting Sequoia National Park. Or welcome if you are just starting your visit here. Grant Grove is home to the second largest tree in the world, General Grant. This area is similar to General Sherman in that it has nicely paved walking paths through a gorgeous grove of giant trees and is considered a must see for the park. The difference here is the opportunity to walk through a fallen tree, not a tunnel through the width of a tree, rather a tunnel through the length! It’s a cool experience and learning how this ‘shelter’ has been used in the past makes it even more interesting. >>>> There are no gas stations within the park, so fill up before you enter and ensure you have plenty of gas to power up the small hilly roads. >>>> Phone service is touch and go. If you are meeting friends, bring walkie talkies or plan out meeting points in advance. >>>> Food options are limited – pack plenty of water and snacks for visiting the park. Grab a quick sandwich or check out other lunch options at the Lodgepole complex. >>>> Due to the elevation, you will feel tired much more quickly than you think. Drink lots of fluids to keep hydrated, wear a hat and take frequent breaks. 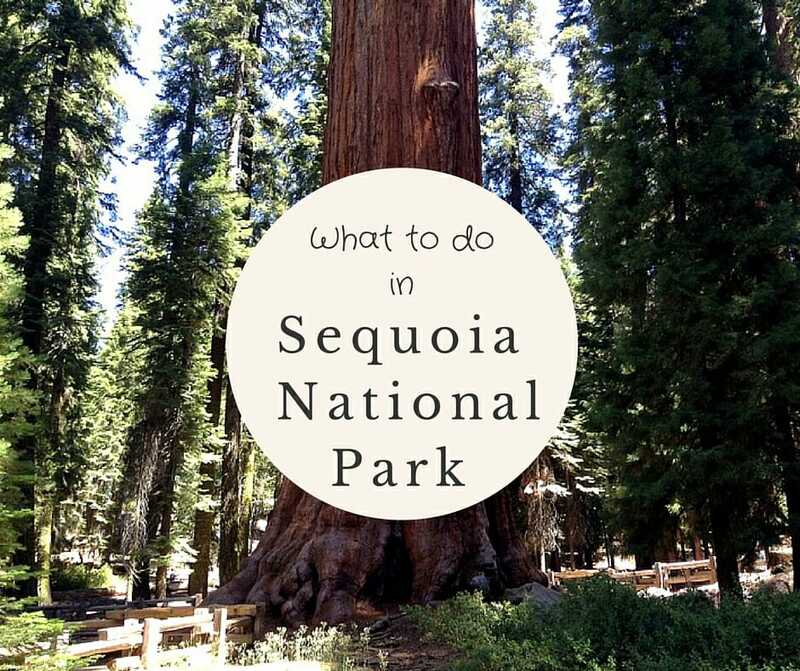 >>>> 80% of visitors to Sequoia come on a day trip. Don’t be one that just drives through. Get out and experience the park even if you are here for only one day. The last time I went to Yosemite I had planned to go to visit the sequoias and opted against it. Now I wish I had! Next time. We plan on buying an RV next year and seeing the US. The Sequoia is on my top list! Can’t wait! I think I would prefer to visit the Sequoia National Park over the Yosemite one too. Nature is best explored with a bit of tranquility. Overall, some great advice for everyone planning a day trip there! I’ve always wanted to check this place out! Seems like there’s quite a variety of things to do there. So much to do in this national park. Serious appreciation for photographs! Which camera have you used! That camera was my Nikon d90. I actually broke my lens after that trip and have switched to a mirrorless now. Thanks for the Junior Ranger booklet tip! Athena loves stuff like that. I’m sure it will make her very happy when we visit this year. I love parks. Good information. I really love your suggestion when you said “Go One Way”. Great idea so you get to see both parks. Great tips! In our entire road trip through the US this was our very favorite park! I would definitely suggest trying to spend more than 1 day but I know for some that’s all they can do. Thanks for sharing and bringing back some great memories. I love the giant redwoods and the idea of seeing two parks in one day. Great tips too. This was such a great post! I’ve been meaning to get to both Yosemite and Sequoia, so I pinned this so I can plan the perfect day trip on my way back down! Glad it was helpful! So fun that you are doing such a long road trip! If you have time in Oregon, check out our road trip there- so beautiful! Enjoy! We stayed in a hotel nearby, arriving at the park early in the morning, leaving by around 3 to head back to LA. We had a 3 year old with us so we weren’t too speedy and it felt fine.